Anybody need a light? Slush gets off to a fiery start. Wondering what went on during the first day of Helsinki’s Slushiest happening? Take a look at what we came across. Outside the early morning air is filled with excitement, expectation and lifting darkness. The ground underfoot is slippery, with gravel everywhere. Everything, needless to say, is appropriately slushy. Inside the Helsinki Exhibition and Convention Centre, the din is illuminated by a burst of sparks cascading down from the ceiling. Faces light up in awe. 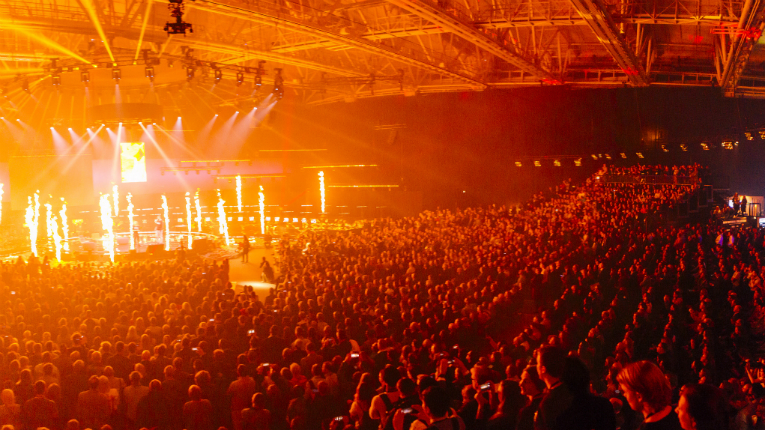 Slush 2016 has started with a bang – along with funnels of fire shooting out of the stage. 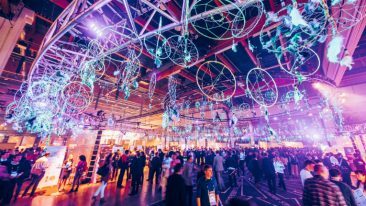 “A warm welcome to Slush 2016,” exclaims CEO Marianne Vikkula, as the heat from the fire fest wafts over the arena, accompanied by the lingering fragrance of fuel. Amidst the welcoming words and a shout out to the couple of thousand volunteers on hand, we are then informed that the Nordic’s largest startup happening has now grown into a truly global event. 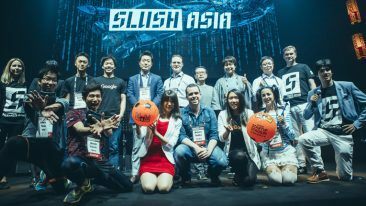 Apart from the pillars of Slush in Shanghai, Tokyo and Singapore, there have been an additional 35 events around the world in 2016. This means over 40 000 visitors have attended Slush events. Casually sipping on a beer, Chris Sacca joins author and Rails Girls founder Linda Liukas onstage to share some secrets of a career spent investing in the likes of Twitter, Uber, Instagram, Twilio and Kickstarter. Marianne Vikkula gives a hand to this year’s volunteers. “I help companies tell their own stories,” are his simple words of wisdom. Over at the Black Stage, a bonfire flickers, surrounded by chairs forming a 360-degree perimeter. This configuration is appropriate. A Nokia Ozo camera is perched in the middle of the stage, its eight ears and eyes capturing the action on stage from all angles. Also looking further afield, the 30 000m2 of space is full of people wandering about starry-eyed or soaking up what is being preached from stages scattered around. Fluorescent dreamcatchers hang overhead, inevitably with their work cut out for them amidst the enthusiastic networking between companies, investors and those in between. An oversize dinosaur shuffles past. Anywhere else, this may seem a little out of place. But, it’s just another day at Slush. Perhaps the words has spread, as the pace of the event has settled into a groove by 1 pm, with many transfixed by what is going on at the main stage. Here Daniel Ek, Niklas Zennström and Ilkka Paananen are onstage to discuss their paths to creating Spotify, Skype and Supercell, respectively. “If in the last year you have made no failures, you are not trying hard enough,” Paananen states. Yet, amidst all of this, Slush proves it’s not all about a business focus. Crown Prince Haakon of Norway and philosopher Pekka Himanen are discussing the culture of dignity. “What a great privilege it is to be here,” the Crown Prince declares. Back in the business of doing business, Linkedin co-founder Konstantin Guericke is onstage discussing the early days of his globe-conquering professional social network. 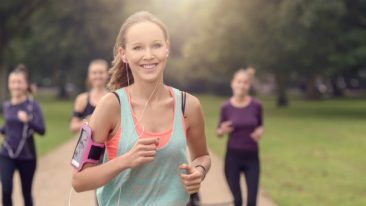 Sometime later, as the crowd begins to thin out, the ingredients that combine to make Slush such a success each year are somewhat easier to put a finger on: ideas, inspiration, credibility (and incredibility), all housed in a casual environment. 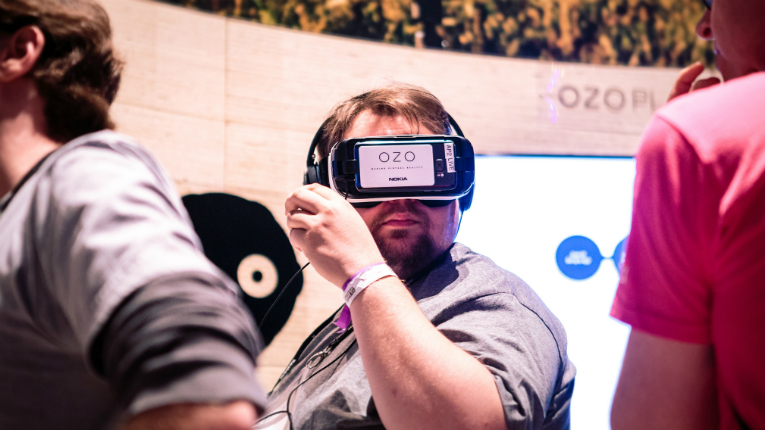 Nokia Ozo, the window to the VR future.